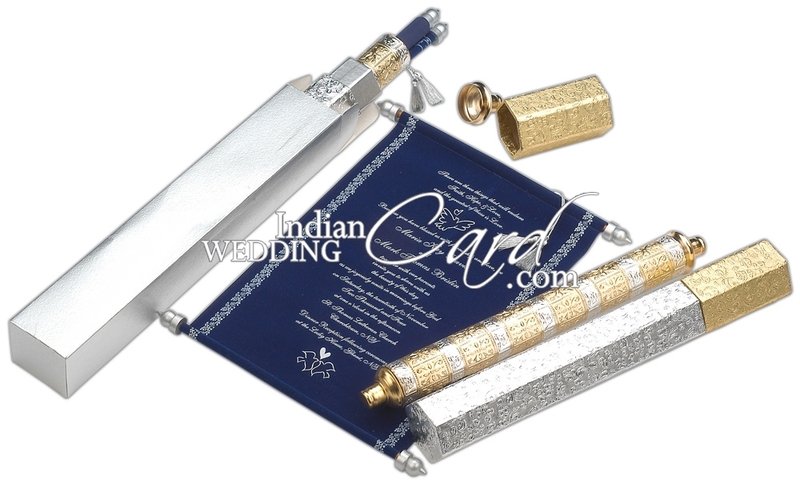 Description: This superbly designed scroll card can be called the king of all scrolls. The scroll is in blue velvet with silver bars and tassel. The scroll gets inside the gold and silver combination metal case with exquisite engraving work. This then is contained in a gold and silver box with the covering having bold floral motifs in embossing. The bronze envelope consumes it all for a perfectly packaged surprise for you.